In an industry full of #MeToo’s, indie pop band Hippo Campus make a conscious effort to be allies and positive examples through ‘Bambi’, their delightfully transparent sophomore album. It’s 1:00 p.m., but Jake Luppen has just barely woken up. En route to Pontiac, Michigan, the Hippo Campus lead vocalist is still readjusting to the exhausting whirlwind of his familiar on-the-road lifestyle. This time around, it’s in support of the band’s stellar second LP, Bambi, which dropped September 28. “The new songs are a lot more difficult to play,” Luppen explains, recalling a nervewracking night in New York City just three days before the album’s release. 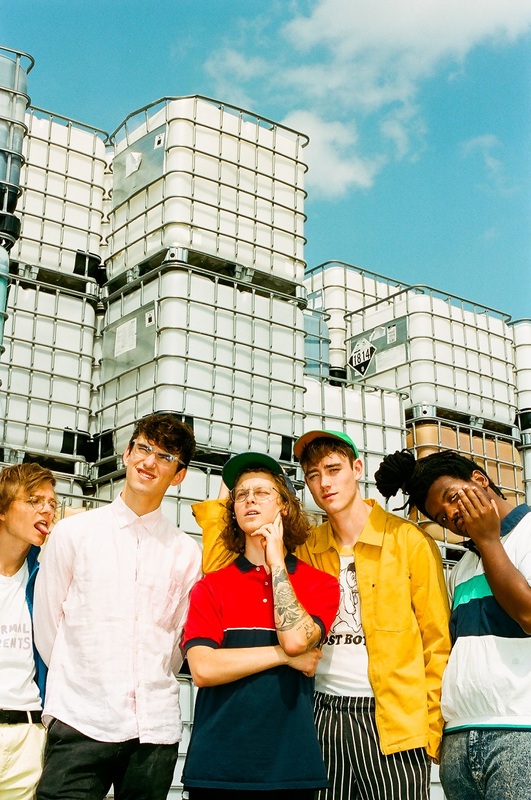 That night, Hippo Campus – also consisting of Nathan Stocker, Zach Sutton, Whistler Allen, and Decarlo Jackson – performed nearly all of BAMBI to an intimate Lower East Side crowd with just a week of preparation. 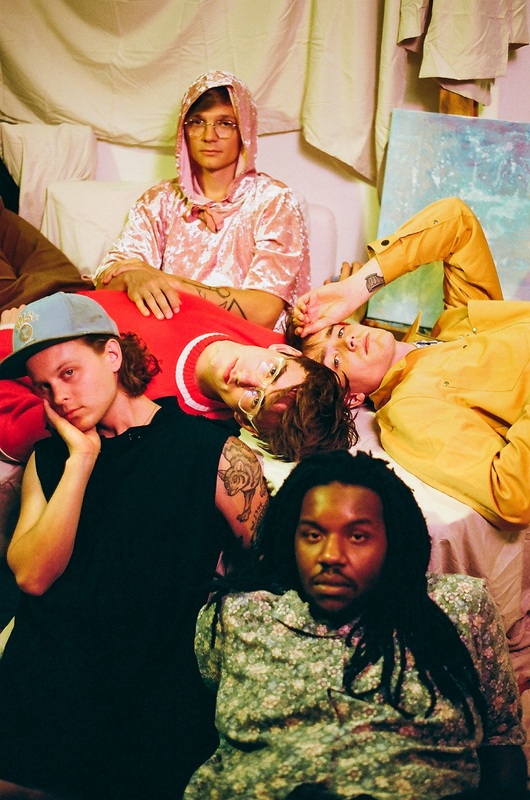 Hippo Campus garnered an intense hometown following not long after formation, but the release of debut LP Landmark in 2017 helped propel the young Minnesotans towards a mind-blowingly loyal fanbase worldwide. While Landmark was chock full of zippy guitar riffs, dashes of unexpected orchestration and profound lyrics that spoke wisely on society in general terms, Bambi reads not unlike a personal journal. In the year and a half between the two albums’ releases, it’s evident regarding songwriting that Hippo Campus have come to a stark change in content preferences, having driven off the path of traditional indie pop with a comparatively experimental, electronica-infused sound. Despite Bambi’s boundary-breaking nature, its name derives from one of the places where Luppen and his bandmates feel the most comfortable. 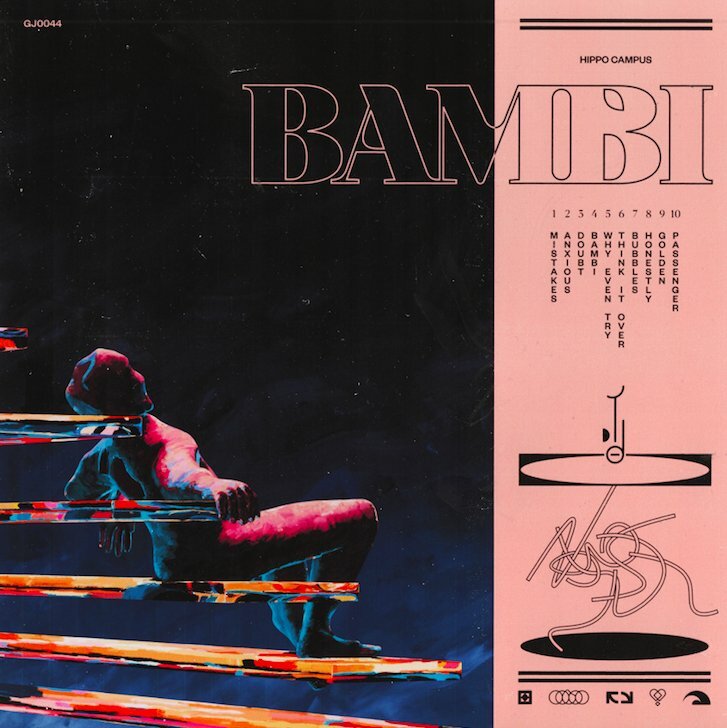 The lyrics presented on Bambi begin to show just how therapeutic those lakehouse trips were. Lead single “Passenger” is a poignantly cinematic recollection of growing up with a romantic partner, backed by an unconventional chord progression. It’s the track to which Luppen feels the strongest personal connection, and as of right now, his favorite on the album. It also contains one of Bambi’s biggest surprises — the album version of “Passenger” tacks on an understated, yet strikingly gorgeous piano outerlude to finish off the LP, almost as if to give listeners a moment to fully digest the ten songs. However, the two-minute ditty predates Bambi significantly. The unguarded storytelling Hippo Campus exude on “Passenger” spills into the entirety of the record, but it’s no accident. Whether it be overwhelming worry (“Anxious”), inescapable self doubt (“Mistakes”) or a jeopardized friendship (“Why Even Try”), Bambi covers nearly every base when it comes to the highly personal — and often alienating — issues the band members have faced. Luppen’s insistence on taking a more internalized route writing Bambi was shaped in part by the rise of the #MeToo movement, as was the album altogether. Especially in the last year, Hippo Campus have made strides in serving as allies in a tumultuous music industry. In a sense, Landmark closer “Buttercup” even became an unintentional activist anthem. Its empowering lyrics and titular flower often serve as tattoo inspiration for their predominantly female fan base, and the track’s catchy hooks were blasted over speakers to a million March For Our Lives goers in Washington, DC last spring. But the band’s political involvement extends beyond those singalong verses. In light of countless sexual assault allegations surfacing against men in the industry, Luppen and his bandmates have taken the initiative to actively set a positive example for both fellow bands and their male listeners. But Hippo Campus also know actions speak louder than words. During their spring tour earlier this year, the band partnered with Planned Parenthood, giving concert attendees the opportunity to learn more about the organization and get involved firsthand. For this trek through the U.S., they’re doing the same with Everytown for Gun Safety. However, they weren’t always so comfortable with being so politically transparent. Where Landmark often spoke broadly, Bambi brings it home. Luppen hopes this new slew of music from the band can help bridge the gap between reality and society’s expectation of constant perfection that erases the mental tribulations just about everyone endures. To call this new era of Hippo Campus “real” is an understatement. As they turn the leaf to usher in Bambi, the band finds peace in being an open book lyrically, and hope the updated setlists on their national Bambi tour inspires fans to do the same — despite the fears that come along with a fresh album cycle.